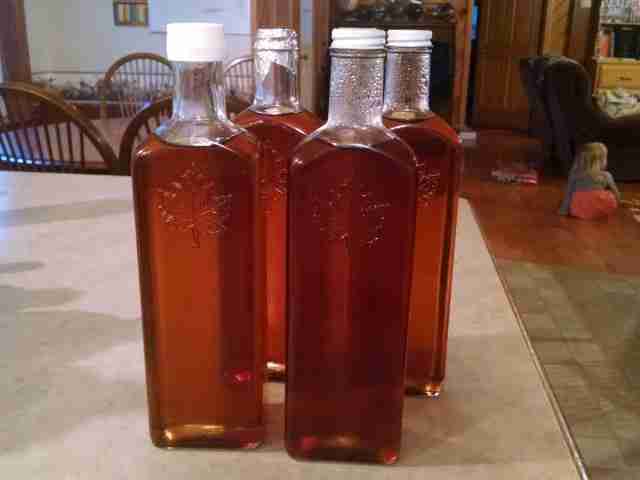 We’ve been making maple syrup. 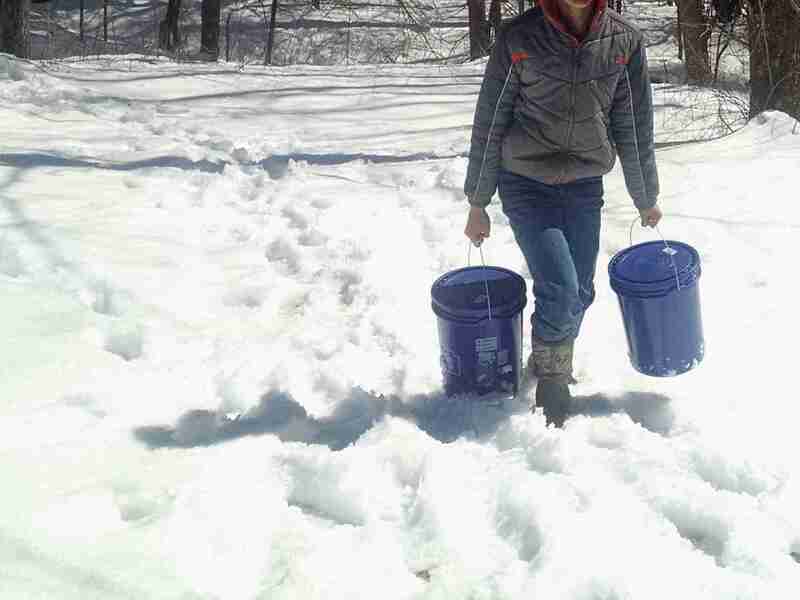 I owe a huge thanks to my husband and boys who have been trudging through the snow to carry out hundreds of gallons of sap. If you can make some this year, I highly recommend the experience. 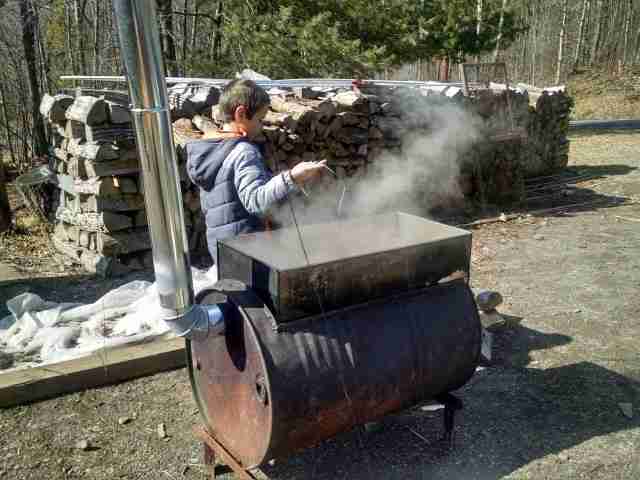 You really appreciate a gallon of syrup, knowing that forty to fifty gallons of sap went into it. 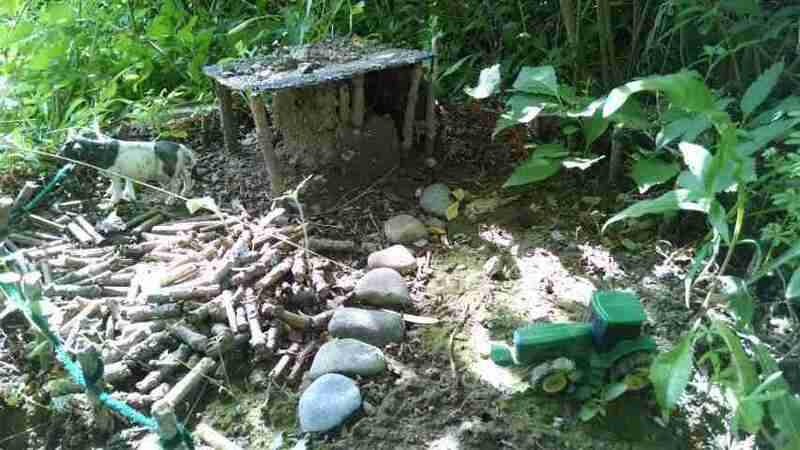 I came across this little outdoor village built by the children who lived in our house before we moved into it. 5. Hide your own Geocache. 6. Willow trees are very easy to root. In fact, water in which willow branches have been soaked is used to help other less eager plants grow new roots. 11. Moon phases and how they correlate to the moon’s position in the sky used to really confuse me. It wasn’t until we slept outside under the stars for three months out of the year during our time in Africa, that they started to make sense. Multiple readings of the book Moonfinder have helped out, too. 14. Go on a Spring Nature Photo Scavenger Hunt. See how many of the items on the list you can find. Or make your own list of things you can find where you live. 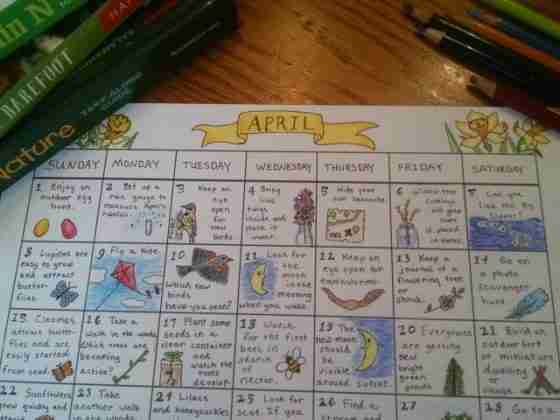 *This idea and others on this calendar came from the book Vitamin N: The Essential Guide to a Nature Rich Life. I also used ideas from Natural Science through the Seasons. 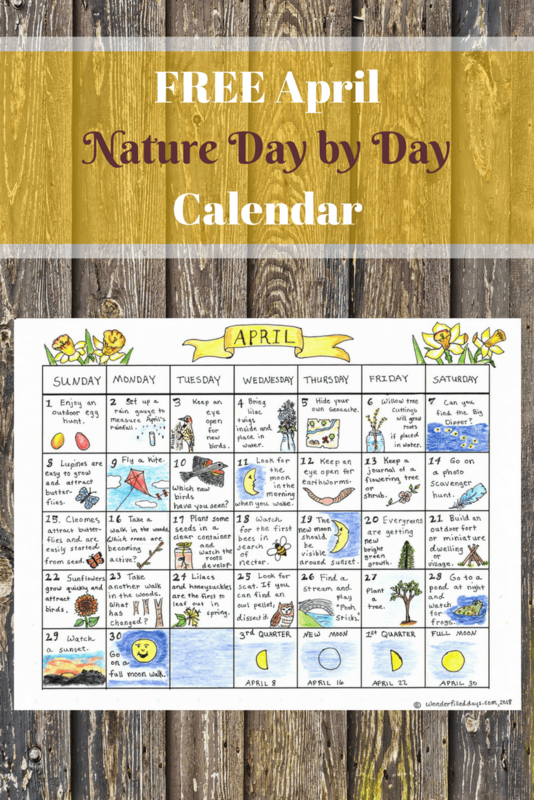 Be sure to sign up for my newsletter to be notified of new nature calendars.